She's a singer, actor and all round entertainer for any occasion. Jackie is the original jack of all trades – she’s a singer, actor and all round entertainer, as comfortable on stage as she is on screen and in the studio – plus she’s a Grey Lynn mother of two boys, Stan and Ernie. Jackies’ already notched up a wealth of experience as a judge on TV ONE’s talent show Showcase and NZ Idol where her experience and deep understanding of entertainment were highlighted. 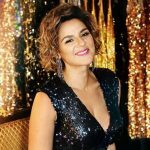 Her other television credits include: acting on Skitz and its spin-off sitcom The Semisis; co-presenting TV2’s music weekend National Anthem and the NZ Music Awards; and presenting two documentaries – Wise Women and Song (TV ONE) and Twins (TV2). Jackie’s first television role was in 1989 hosting a disco special for Radio with Pictures. She then went on to co-host the live entertainment show Saturday Live. Jackie is well-known as one of the members of When The Cat’s Been Spayed, the Kiwiana kitsch trio with two successful albums, countless national tours, a plethora of Lotto advertisements, and its own Country Calendar special. Jackie Clarke started out in the music business at the age of 17 in the Shazam Battle of the Bands with the synth pop band Marching Orders then went on to sing for many years in the Wellington scene with bands such as Putty and The Laundrettes. She has toured and recorded with Kiwi rock legends such as Dave Dobbyn, Annie Crummer and The Netherworld Dancing Toys and is currently a member of the popular Auckland gospel choir Jubilation and the ‘alternative country’ combo The Darlings. Jackie is very at home at large scale outdoor music events including Christmas in the Park, the NBR Stadium Spectacular, Schweppes Showtime and Sky City Starlight Symphony. Most recently, Jackie has been working with The Lady Killers and The DIVAS showcase at Skycity 2018. Jackie’s theatre appearances include Charles Dickens’ A Christmas Carol for the ATC, Napoleon and the Chicken Farmer, the smash hit NZ tour of Mum’s the Word, the world premiere of The Underwatermelon Man at the New Zealand Festival, the Narrator in the International production of Joseph and The Amazing Technicolour Dreamcoat and Chiffon in Little Shop of Horrors at Sky City Theatre. Jackie’s also a mainstay of the perennial Hairy Maclary theatre shows. Jackie doesn’t provide her own production (sound system and lighting). Please contact the DGM office so that we can help arrange this.